Get the latest weather for any city! @weather What's the weather in New York? Stepping out for a drink? Dress casually for a summer day or suit up for winter. 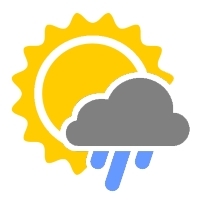 Use the weather bot to quickly find out the weather in any city. What's the weather in New York? And the bot will run it's computations and get back with the current up-to-date weather. Now never carry an umbrella on a rainy day and vice versa!